Apple iPad Mini High Quality Glass Digitizer Vs Low Quality Glass Digitizer test. There are some really low quality replacement glass digitizers on the market and at Gadget Rehab we were surprised to see just how low some of these qualities were. If your looking for a cheap quick fix then these low quality digitizers may just do the trick however for most customer that are looking for high quality replacements its always best to do your research and look for repair centres that offer high quality AAA or original glass digitizers replacement. Our video shows the difference between a really low quality digitizer and one that is of high quality. We have been in the repair business for over 5 years now and understand what quality means to our clients so we have found the best suppliers for replacement digitizers and are so proud of the quality we offer a 12 months warranty on all Apple iPad digitizer replacements. Many of our customers are having issues with their MacBooks, Laptops and PC’s running slow, taking long to opening applications and just in general taking longer to complete simple tasks. This could be caused my many things. 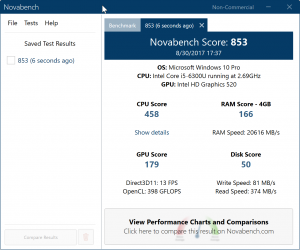 We suggest you run https://novabench.com/ on your device; this will show you the speed of your Central Processing Unit (CPU) amongst other variables. Speed test for Macbooks, PC's and Laptops. Once completed save your results and send them to us we can then recommend ways to improve your laptop/desktops performance. In many cases we will be able to make these improvements which should result in a spike in your devices performance. It can be surprising the amount of dust that can come out of an iMac or Macbook. After months or years of usage dust can cause internal component to slow, reducing your devices performance by up to 100%. At Gadget Rehab the technicians will air dust your device, free of charge, as part of the SSD upgrade or internal repair service. If you require cleaning only prices start from only £34.99. Call us on 01494 534 008 for more information. 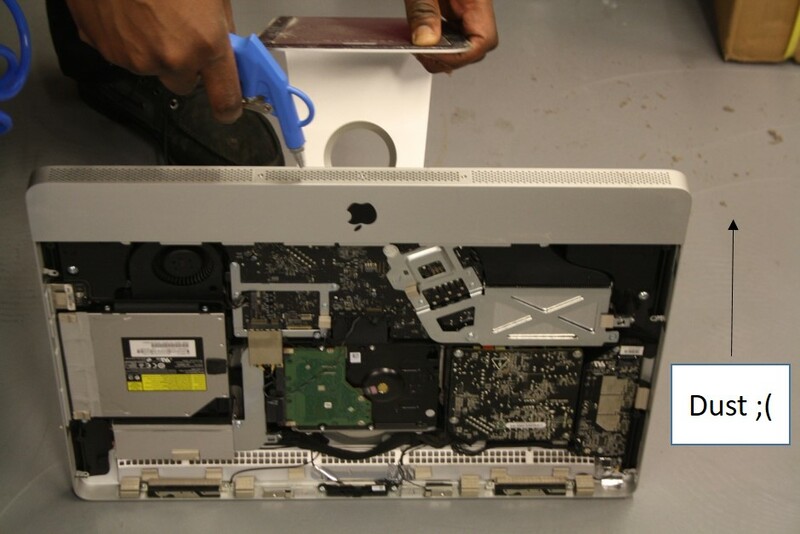 on our Mac repair service. Work experience Haleem takes on the Big Mac! During my week I was invited to assist the team to complete an iMac SSD upgrade. My supervisor ‘Daniel Beckford’ took me through the upgrade step by step; we also discussed how this upgrade would improve the performance of the iMac dramatically. This is due to it being a digital hard drive rather than the standard mechanical hard drive. Gadget Rehab can upgrade your Macbook hard drive to an SSD on a quick turnaround so contact us now for quotes and more information. 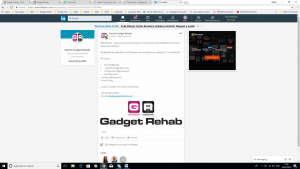 Hello, my name is Haleem; this is a short blog about my work experience week at Gadget Rehab. Allow me to introduce myself; I am currently a student at the Buckinghamshire College Group (Amersham Campus). I am studying Information Technology @ L3 (90 credit) diploma. I am also Ex Deputy Head Boy of The Highcrest Academy (my place of secondary education). My week at Gadget Rehab has allowed me to develop my repair skills, with the support of the GR team who taught me about individual components and their functions, they did this by allowing me to shadow a member of the team during a few iPhone, Samsung, Tablet and iPad repairs. I was also trained on how to use the system, create customer accounts, booking appointments. Moreover, reviewed repair guides and worked in customer service providing quotes via email, telephone and face to face.